You can see the cumulative Z Value information in the Coordinates and Control Points view. 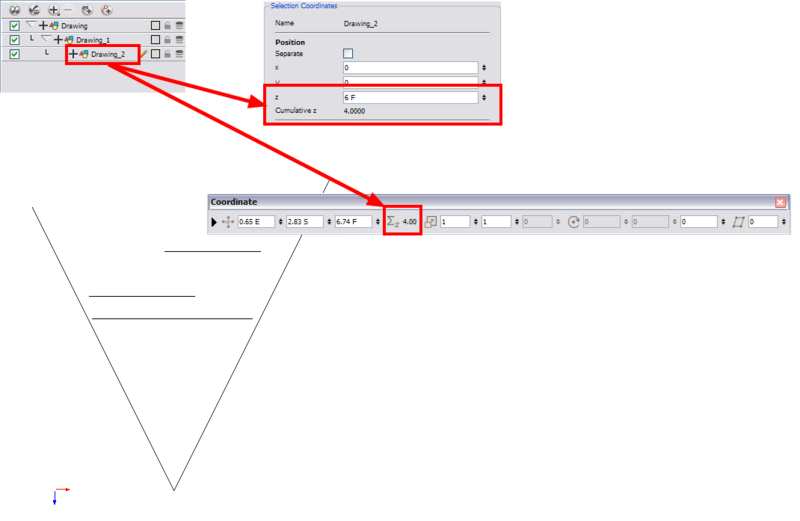 When you select a drawing cell including a keyframe, it will display the Cumulative Z value. When a layer is parented to other layers that are moved forward or backward on the Z-axis, the currently selected layer's position Z value may not be accurate since its parent will also have an offset on the Z-axis. The Cumulative Z value is a compilation of all the Z-axis offsets to give the real Z-axis offset value related to the (0,0) centre.